My Dad was a veterinarian, and when I was a little kid, I remember my Dad “fixing” peoples’ pets. I was told it meant that the pet couldn’t be a mommy or a daddy and have puppies or kittens. As a result, when I hear someone looking to “get fixed” I have a private chuckle. When you come from the place of “something is wrong with me” you are beginning from a deficit – the feeling of being a victim. You have to use time and energy to dig yourself out of that pit first before you can move forward. What if you made the assumption that it is “all perfect” and this is exactly what you need in order to achieve what your empowered self really wants? How does that empowerment feel for you? Strong? Capable? Creative? How does the “poor me, I am a Victim” place feel? Weak? Useless? Broken? Which feeling would you rather have as your “norm” or your “go to”? 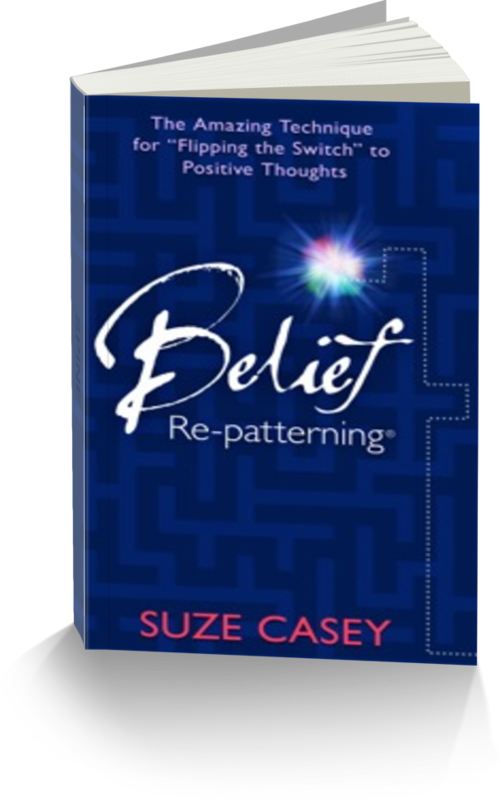 Re-patterning trains your mind to habitually go to the place of personal empowerment. The series of statements, when practiced regularly, provide a stairway for you to climb easily out of the “pit” and into a place of empowerment. I forgive myself for believing I need fixing. I forgive myself for believing I need to be in this “victim” place – it isn’t me. I give myself permission to see where I am capable, and expand that. I give myself permission to find my pace of empowerment in this situation. I can feel broken, or I can feel capable – I choose. I am free to notice how capable I am in other situations, and bring that feeling to this place. I know what it feels like to to be capable, I got myself up, dressed, fed and out the door this morning! I am capable, and this is an opportunity for me to become even more capable! I’m up for the excitement! Switching. It isn’t as easy as it sounds because there is some practice required to get it to the place of habit. But it isn’t nearly as hard as you’ve felt it was in the past. Promise!